Draft of Rolf’s Science Fiction (Firefly like) screen play. Looks like my newest book, Heretics of St. Possenti, is now live on Amazon. Not the cover I expected, but totally in genre. Let me know what you think. As always, honest and positive reviews are appreciated. Oh, and I finished the latest short story about Jispin the barbarian, starting here. You can read the whole thing straight through from there. 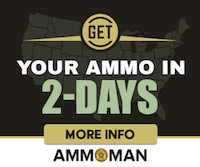 Note #2 – the official release date is… November 11th. Veterans day. Very appropriate. Note #3 – Honest reviews are appreciated. For those who like adventure/fantasy fiction with an emphasis on action and daring-do (a la Conan), I’m posting a new short series on my writing blog. Another “Jispin the barbarian” blurb. First segment. I know some people don’t like serialized stories; they want to whip through the whole thing at once. I understand. I’m just dropping a quick note for those of that sort who like short stories that the one I linked to is all up so you can read the whole thing at once. As a quick reminder, it’s a sword-type, Conan-esque stand-alone tale, about 15k words. Young guy, getting his start in life on a harsh world, and having an experience that leads him to make a career choice. Starts here, ends here. Comments, corrections, feedback welcome. Gotta keep writing. There is a long story I won’t bore you with as to the delays in getting sequel/prequel published properly, so in the meantime i thought I’d write a short story. Not in the same universe as “The Stars Came Back,” more Conan-esque. Young barbarian getting a start in life, etc. Not precisely YA, a bit gory, but not too gratuitous. He’s not grown up enough yet to have mighty thews and a crushing sword-stroke (yet). Working title might be “Career Choice”, Part I. I’ll be posting there daily until it’s done, something around a thousand words per day. Start here. Home page to see the whole series of posts start here. I had an email interview with the Official Horde Librarian (from the Ace of Spades HQ Sunday book thread), as a result of the movie deal thing. Results are here. For those that haven’t met me, I look like that in real life. I live in an older, low-res, 8-bit color part of The Matrix. Just had the movie rights to my book optioned. So now we start working to get the casting and promotions done so a good funding page (likely on GoFundMe) can be put together and production monies raised. If we hit the minimum goal, then he buys the movie rights and moves forward with starting to produce it. Because he’s a relatively small operation, and the book is long, the basic goal is to make just a portion of it, and make it well enough that it can act as a “prof of concept’ to raise enough money for more of it. That’s just a small part of the big picture (no pun intended), of course. When the promo trailer (a simple but scene to shoot) is ready I’ll let people know. Just got word that Back from The Dead, the first half of The Stars Came Back, is out in paperback and hardcover for those w/o Kindle readers. They are not “connected” on Amazon, yet, but I’m sure they will be soon. In the meantime, reviews are welcome. As much as there ever was a primary thread. I’m working on another book. Well, three or four of them, nominally in parallel. Because one at a time would be to simple 8-0… Anyway, I’m not much of a biblical scholar, but there are a series of related topics that are not “easy look-up” sorts of subjects on Catholic church teachings, monastic order traditions, and canon that I need to know so I don’t make too many , er, “fundamental” errors on the faith and teachings. If you know something about the Bible, and perhaps are a regular church-goer who would like to see that a SF books gets the basic correct and would like to weigh in a few thoughts, head on over to Not A Biblical Scholar and add your two cents worth. I’m looking for a few guys in the 12-18 age range to be beta-readers for my new book. It’s basically done, but I can always use more input. If you are (or know) a YA male who is looking for a story about a young man doing adventurous things without a lot of angsty naval-gazing or silly romance garbage, but with more independent / libertarian themes than most current offerings, head on over to The Stars Came Back for details. 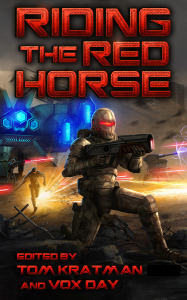 Riding The Red Horse is a military fiction anthology being published 15 Dec 2014 by Castalia House. It is edited by Tom Kratman and Vox Day. I have a short story in it, the story of the first Armadillo mission. There are some big names in it, and I am honored to be among them. Vox posted about it here. I just signed a contract with Castalia House, a recently started Finland-based publisher, to be the official publisher of The Stars Came Back. By some combination of luck, skill, happenstance in a changing marketplace, and doing enough things right to compensate for what I didn’t, I managed to move more than 2700 copies of the book world-wide between 13Jan2014 and 18Mar2014. Not bad for a total noob, and quite above expectations, if not as many as one may absurdly hope. So why would I cut my profits by sticking a middle-man in the mix? Because the book is already selling and done, the change to my bottom line for this book is very minimal, we have a good deal to come out with a conventional prose format version of the story, one where I won’t have to worry about upfront costs for editing and new cover art. (He says my old cover fairly screamed “self published,” and was quite surprised that it was selling as well as it was). He’ll also handle translation into at least two other languages, possible audible books, and taking it to ink-on-paper (something I’d been only slowly making progress on), meaning I’ll get a fair percentage of markets I’d get zero from otherwise. It also opens the door wide for sequels and offshoots and other projects I’ve been mentally kicking around but didn’t have the resources to go after. It’s been an interesting ride. Guess I can add “Raconteur” to my biz card. Posting a couple of The Stars Came Back short stories / installments over at www.TheStarsCameBack.com over the next couple of days. Wander over there occasionally if you want to follow things. Which at the moment translates into 164 183 209 units sold, 4 borrowed. UPDATE: now at #1918 in Amazon paid Kindle store.